The U.S. Navy accepted delivery of the future USS Billings (LCS-15) during a ceremony at the Fincantieri Marinette Marine (FMM), shipyard, Marinette, Wisconsin, February 1. The future USS Billings (LCS-15) is the 17th Littoral Combat Ship (LCS) to be delivered to the U.S. Navy and the eighth of the Freedom variant to join the fleet. Delivery marks the official transfer of the ship from the shipbuilder, part of a Lockheed Martin-led team, to the U.S. Navy. It is the final milestone prior to commissioning, which is planned for later this year. «Today marks a significant milestone in the life of the future USS Billings», said LCS program manager Captain Mike Taylor. «I look forward to celebrating the commissioning of this fine ship alongside the crew later this year where she will play an essential role in the new fleet of warships that will carry out our nation’s future maritime strategy». Several additional Freedom-variant ships are under construction at FMM. The future USS Indianapolis (LCS-17) is preparing for trials this summer. 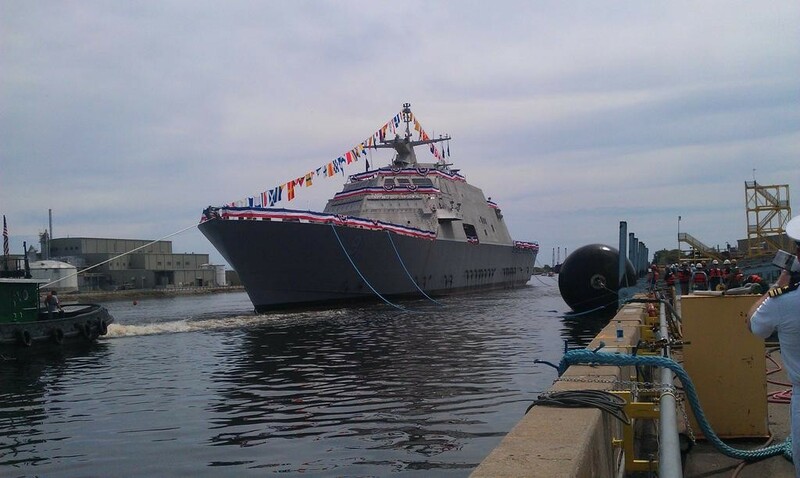 The future USS St. Louis (LCS-19) was christened and launched in December. The future ships USS Minneapolis-Saint Paul (LCS-21), USS Cooperstown (LCS-23), USS Marinette (LCS-25), USS Nantucket (LCS-27) and USS Beloit (LCS-29) are also in various stages of production, with yet-to-be-named LCS-31 awarded last month. The LCS class consists of two variants, the Freedom variant and the Independence variant, designed and built by two industry teams. The Lockheed Martin-led team builds the odd-numbered hulls. The Independence variant team is led by Austal USA, Mobile, Alabama, (for LCS-6 and the subsequent even-numbered hulls). 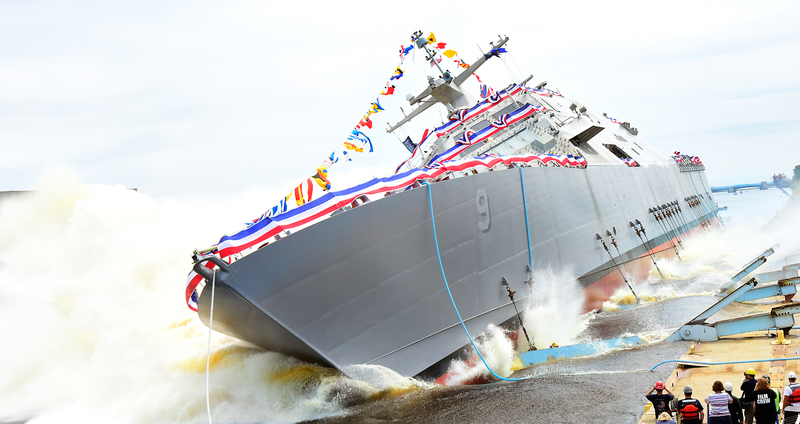 LCS is now the second-largest surface ship class in the U.S. Navy. In 2018, five LCSs were delivered to the fleet, and three are scheduled for delivery in 2019. The future USS Billings (LCS-15) successfully completed its acceptance trials December 7 after a series of graded in-port and underway demonstrations on the Great Lakes for the Navy’s Board of Inspection and Survey. Acceptance trials is the last significant milestone before the ship is delivered to the U.S. Navy. During the trial, the U.S. Navy conducted comprehensive tests of the Freedom-variant Littoral Combat Ship (LCS) to demonstrate the performance of the propulsion plant, ship handling capabilities and auxiliary systems. «The successful completion of these acceptance trials is an important step in the life of the future USS Billings», said LCS program manager Captain Mike Taylor. «I look forward to the next phase of Billings’s journey when she is delivered to the Navy in early spring 2019». Following delivery and commissioning, USS Billings (LCS-15) will sail to her Florida homeport in Mayport with sister ships USS Milwaukee (LCS-5), USS Detroit (LCS-7), USS Little Rock (LCS-9), USS Sioux City (LCS-11) and the future USS Wichita (LCS-13). Seven more Freedom-variant ships are under construction at Fincantieri Marinette Marine Corp. in Marinette, Wisconsin. 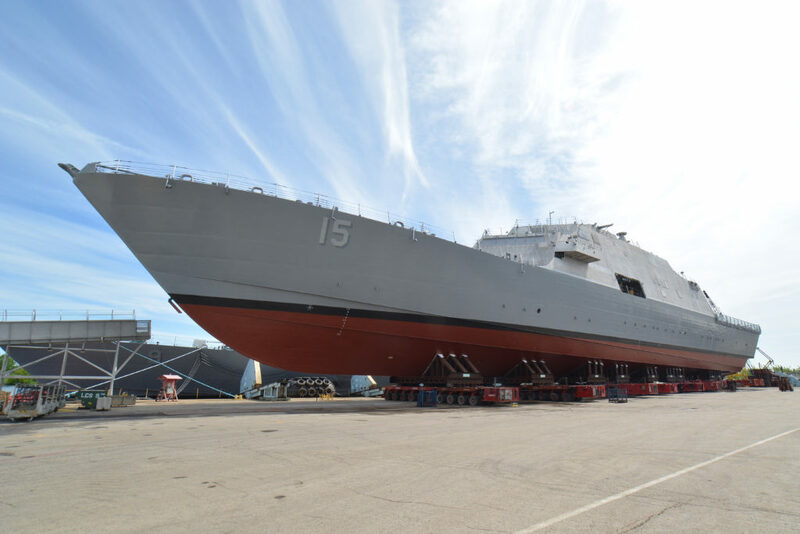 The future USS Indianapolis (LCS-17) was christened in April, and the future USS St. Louis (LCS 19) is scheduled to be christened on December 15. Additional ships in the production phase include the future USS Minneapolis-St. Paul (LCS-21), USS Cooperstown (LCS-23), USS Marinette (LCS-25) and USS Nantucket (LCS-27), with USS Beloit (LCS-29) in the pre-production phase. 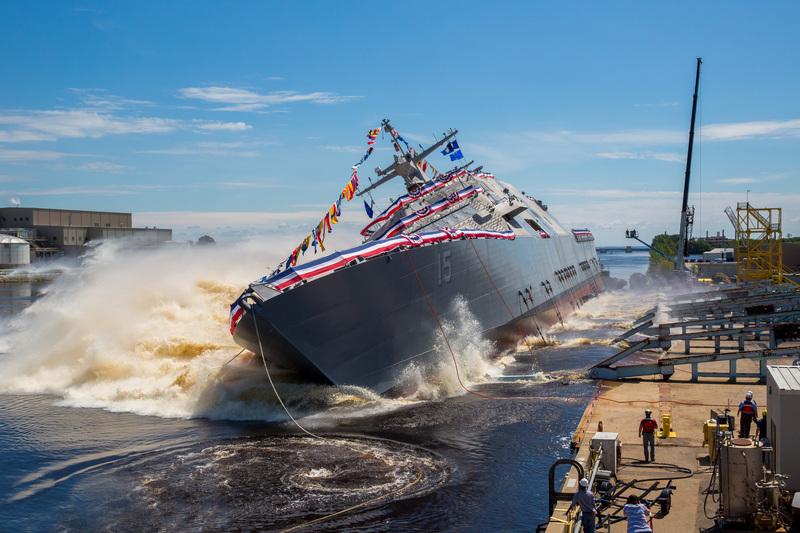 The U.S. Navy christened its newest Freedom-variant Littoral Combat Ship (LCS), USS Billings (LCS-15), during a 10 a.m. CDT ceremony Saturday, July 1, in Marinette, Wisconsin. The future USS Billings honors the largest city in Montana. It will be the first ship of its name in naval service. Senator Tammy Baldwin of Wisconsin delivered the ceremony’s principal address. Sharla Tester, the wife of Montana Senator Jon Tester, the ranking member of the Senate Veteran’s Affairs Committee, served as the ship’s sponsor. 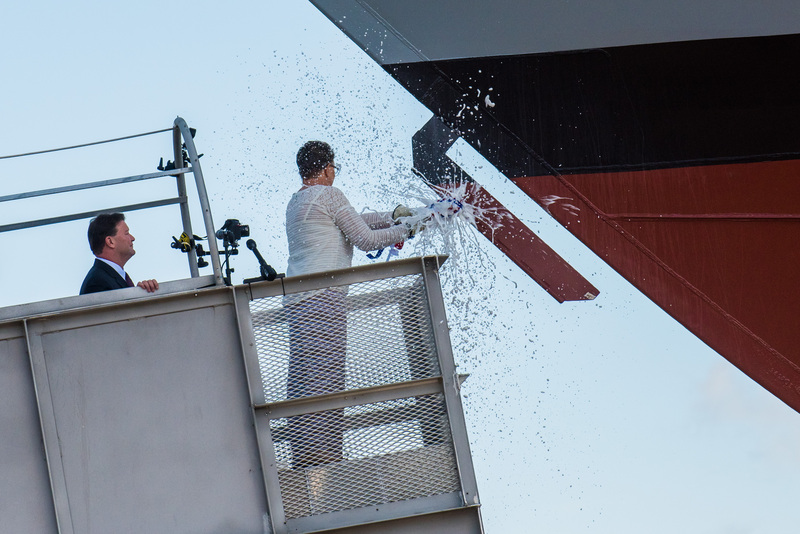 The ceremony was highlighted by Mrs. Tester breaking a bottle of sparkling wine across the bow to formally christen the ship, a time-honored Navy tradition. «The christening of the future USS Billings (LCS-15) brings this great warship one step closer to joining the fleet, where it will, for decades to come, serve as a tribute to the great people of Billings and the state of Montana, as well as the highly skilled men and women who built our nation’s newest littoral combat ship», said the Honorable Sean Stackley, acting Secretary of the U.S. Navy. Each LCS is outfitted with a single mission package made up of mission modules containing warfighting systems and support equipment. A dedicated ship crew will combine with aviation assets to deploy manned and unmanned vehicles and sensors in support of mine countermeasures, anti-submarine warfare or surface warfare missions. 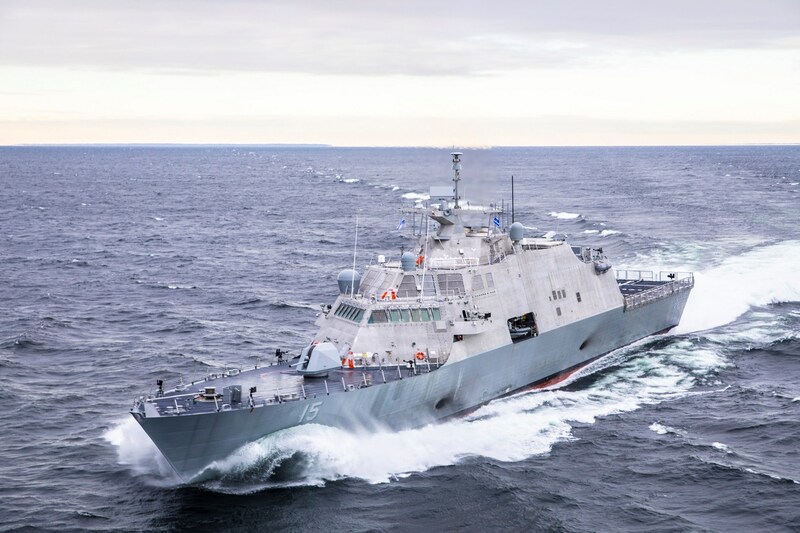 The Lockheed Martin-led industry team officially laid the keel for the U.S. Navy’s fifteenth Littoral Combat Ship (LCS), the future USS Billings, in a ceremony held at Fincantieri Marinette Marine in Marinette, Wisconsin. Ship sponsor Sharla D. Tester completed the time-honored tradition and authenticated the keel of USS Billings (LCS-15). 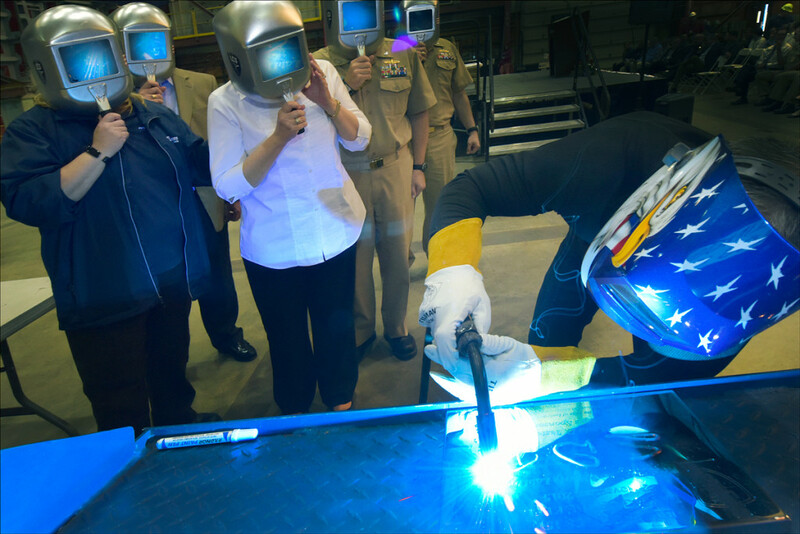 Mrs. Tester had her initials welded into a sheet of the ship’s steel, which will ultimately be mounted in the ship throughout its entire service. 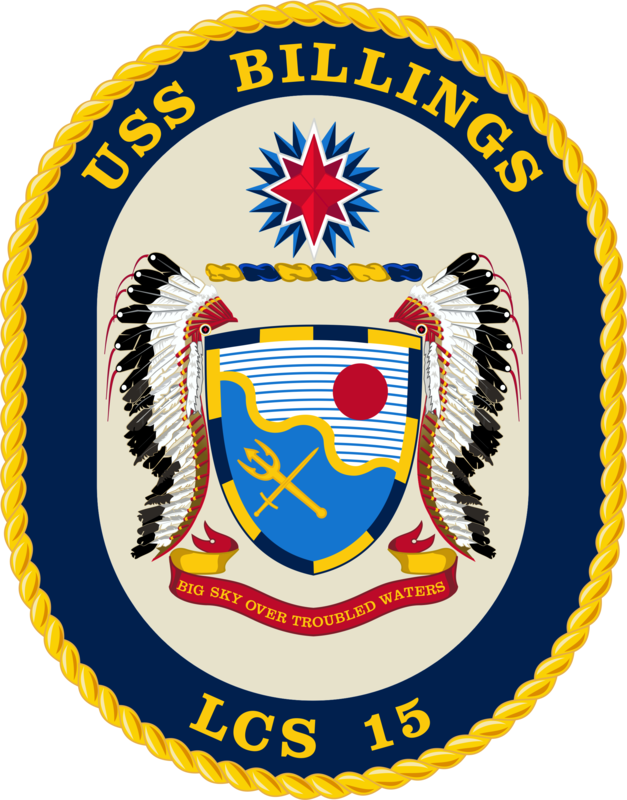 «It is an honor to serve as sponsor of the future USS Billings. My prayers are with the industry’s shipbuilding team and the future crew», Tester said. «This will be a magnificent warship, and I know the people of Billings, and all Montanans, will proudly support her when she enters the Navy fleet to protect our nation». Billings is a flexible Freedom-variant LCS that will be designed and outfitted with systems to conduct a variety of missions. The industry team building Billings has delivered three ships with seven others in various stages of construction and testing. The future USS Milwaukee (LCS-5) will be commissioned in Milwaukee on November 21. The nation’s first LCS, USS Freedom, completed a U.S. Navy deployment in 2013, and USS Fort Worth (LCS-3) is in the midst of her 20-month deployment to Southeast Asia. «The LCS platform is proving the Navy’s concept of operations with its flexibility in supporting a broad range of missions, from anti-submarine and anti-surface warfare to mine countermeasures», said Joe North, vice president of Littoral Ships and Systems at Lockheed Martin. «This industry has shown it can adapt to meet the Navy’s most challenging missions, anywhere in the world». The Lockheed Martin-led LCS team includes ship builder Fincantieri Marinette Marine, naval architect Gibbs & Cox, and nearly 900 suppliers in 43 states. «We are proud to welcome Mrs. Sharla Tester, sponsor of the Billings (LCS-15), to Fincantieri Marinette Marine», said Jan Allman, president and CEO of Fincantieri Marinette Marine. «LCS-15 is the next ship to make the journey through our shipyard before joining the Fleet, and will carry the spirit of Billings and this dedicated industry team, as she sails the globe». Lay the keel is a shipbuilding term that marks the beginning of the module erection process, which is a significant undertaking that signifies the ship coming to life. Modern warships are now largely built in a series of pre-fabricated, complete hull sections rather than a single keel, so the actual start of the shipbuilding process is now considered to be when the first sheet of steel is cut and is often marked with a ceremonial event.